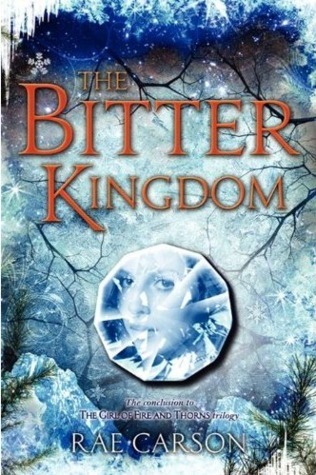 So seriously you guys, after I was done squealing over getting my hands on the e-arc of The Bitter Kingdom, I just finished the book I was reading in no time and moved on to this one, because well, I LOVE this series and Rae Carson's writing and I couldn't wait till August to find out what happens to Elisa and Hector!! I even conquered my fear of reading the last book in a series for this book. This is the level of love I have for this series! -OMG, I just love Elisa! She's such an awesome character and I'm still wowed by how much she's grown over the course of this series! -The Inviernos are seriously creepy! -Loved the council of the three queens! I have so much love for Cosme and Alodia, they are awesome and YES to the women being in power! You can pre-order this book here and YES YOU WANT TO! And if you have also had the honor of reading this book early, please let me know! I'm DYING to talk about this book because it brought ALL THE FEELINGS! I am so jealous! I can't wait to read that book. I liked the second one so much more than the first, and I can only imagine this one is even better. Where did you get the e-ARC from? I was hoping Netgalley would get it! It was on Edelweiss :) And yeah, I feel so lucky that I got to read it already! Oh gosh can this book come out already?? I'm dying to read it! (Especially since you mentioned Hector. He's just perfect.) Cosme and Alodia are awesome, as well, and I missed them in Crown of Embers so I'm doubly excited for that. I got this a few weeks ago, I'm starting the whole series next month and can't wait. I've heard nothing but good things. This review makes me so excited for it!